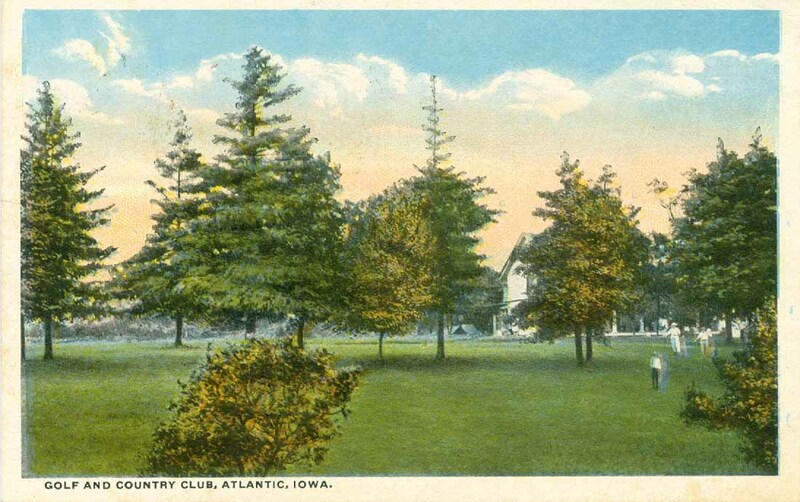 Above, a vintage Curt Teich photo postcard of the Atlantic Golf and Country Club. No information about the founding of the club could be found in either the 1980 History of Cass County or the History of Atlantic, Iowa 1868-1968, but the above photo shows it has been in existence for many years. White border, divided back postcard, postally unused, so there is no cancellation stamp, but it appears to be circa the 1920's. 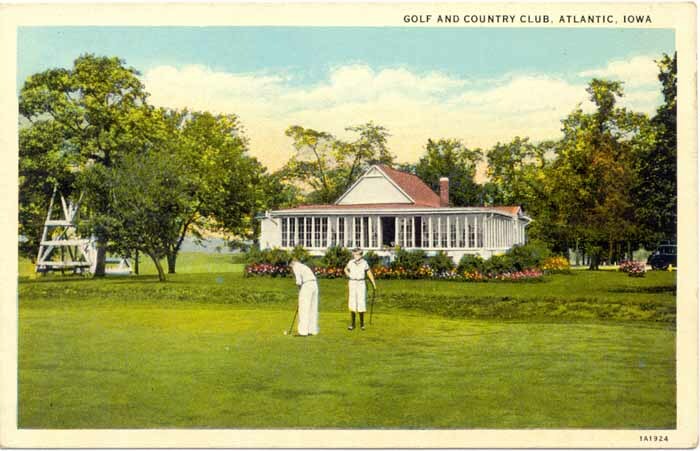 The oldest 18-hole golf course In the United States was founded near Wheaton, Illinois in 1893, although many smaller courses had been established in the East in the decade prior. By the 1920's golf seems to have become popular in Atlantic! Below, another view of the country club published by F. M. Alexander. Contributed by Cheryl Siebrass, December 2011 and February 2016.